Exclusive! Versatile and fun-to-wear! 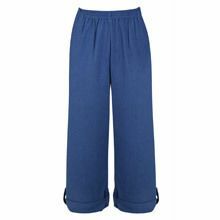 Ankle-length Beachcomber Pants roll up to a shorter, capri held in place with a button tab. 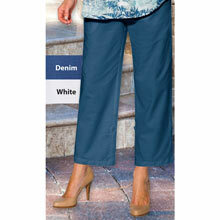 Easy, pull-on styling with comfy elastic waistband and inset side pockets. Cotton/polyester. Machine wash. Imported. Misses, inseam (uncuffed) approx. 24"l.
Love the longer length this capris offers. 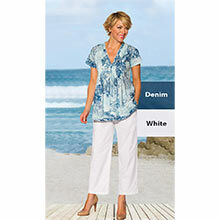 The fit is great and the fabric is light weight but not too thin. Wish they were offered in a wider selection of colors.